NISA Review 2019: Is NISA a Good Hosting? 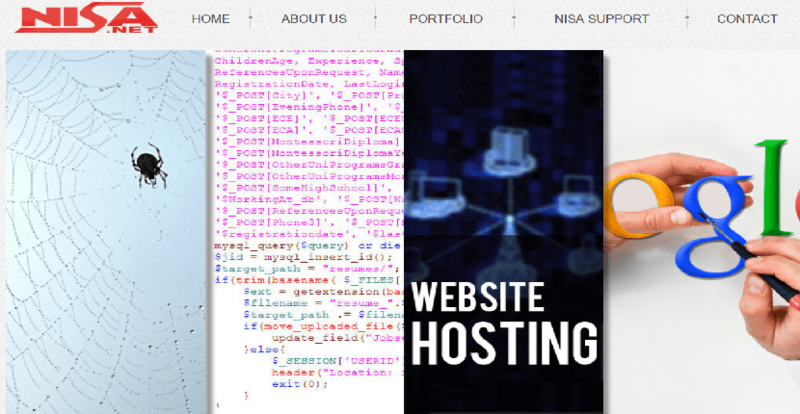 NISA Internet Technologies Inc. (NISA) was only founded in 2015, so it’s a new website hosting provider. The plans are expensive and the features are limited, but it does owns its own Canadian data center. NISA Internet Technologies Inc. (NISA) has been providing Canada-based hosting since 2015. A new website hosting company, apparently, it already has customers from around the world. There’s a relatively active Facebook page, with a handful of positive reviews, and an English language website. NISA owns its own data center, which according to the website, has “leading edge technology, high-quality servers, high-level security, and 24/7 NOC monitoring.” There’s limited information about the hardware brands or even an uptime guarantee, but I can tell you the web servers are Apache powered, which should mean fast speeds. There are three shared hosting plans; Basic, Business, and Professional, with no add-on domains and disk space ranging from 300MB to 750MB, which is very low for even everyday website owners. According to the website (I contacted support to learn more, but did not hear back), there’s limited beginner-friendly tools such as a website building tool or a one-click installer. However, for experts, there’s all of the standard features such as unlimited FTP accounts, MySQL databases, Cron jobs, and phpMyAdmin, as well as CGI-BIN and Perl. The prices are very expensive, to be honest, it’s hard to justify them given the low level of resources and value added features. All I can assume, is that you’re paying a premium to have a Canada-based data center that’s owned by NISA. You can purchase the plans in one month or one year terms. There is a discount for annual plans, but it’ still doesn’t make the plans affordable. Additional expenses include an SSL certificate and a domain name. You can email or call NISA, and while there are various emails for different departments, the customer service is limited. There isn’t a help desk, FAQ section, or any other way to get in touch. What’s worse, I sent an email on a weekday and did not get any response – even after waiting for three business days. NISA is a new hosting provider based in Nanaimo, Canada. Unfortunately, the plans lack useful features (e.g., a one-click installer), are very expensive, and have limited customer service. That said, it may be a good fit if you need Canada-based servers. Wondering how NISA stacks up against other Web Hosting companies? Enter any other Web Hosting company and we will give you a side-by-side comparison.